I chose photography 25 years ago.  Along the way, I came to realize what images generate. I understood that they can transmit a subtle vibration, a frequency that tunes in to the forces of creation and connects us with our Soul. My work gained a deeper meaning, it gave me the opportunity to sow seeds of consciousness through what I show to the world. I took that responsibility and I used my inspiration to give life to this project. Believe to See is the expression of the invisible, the network that holds us together as one, what many call Faith. To portray the leaders is to seek their essence. Each master, each message, each experience is a new point of view and contributes to create a space of spirituality and diversity of creeds. There is still a long way to go and I keep moving forward. I keep creating a space of encounter, unity and connection. We belong to the same Source. Humans, animals, plants, earth, we all have a common origin. When we believe that we are better, when we use our power to cause chaos and destruction, we generate division. We get disconnected. Today, we are awakening. Today we can change. When you are conscious, every one of your actions, every thought, every feeling, even the slightest, makes a difference and helps to raise awareness in others. Start with yourself and it will spread. WHAT IS BELIEVE TO SEE? Believe to See is a multidisciplinary artistic project led by the Argentinian Photographer Gaby Herbstein, that spreads the voice of 12 spiritual leaders of different beliefs, philosophies and cultures from around the world. / / WHAT IS BELIEVE TO SEE? BELIEVE TO SEE is on social networks and will also be on the streets. We are planning an art exhibition, a documentary film and a book. Different means to show the path to awakening the power of collective transformation and to contribute to improving the planet by honouring unity and diversity. In a path of search for unity in diversity, photographer Gaby Herbstein invites us to travel around the world to meet spiritual leaders of different creeds and philosophies, to learn their thoughts and teachings, participate in their ceremonies and share moments in their communities and sacred spaces. Believe to See is the expression of the invisible, the network that holds us together, what many know as Faith. 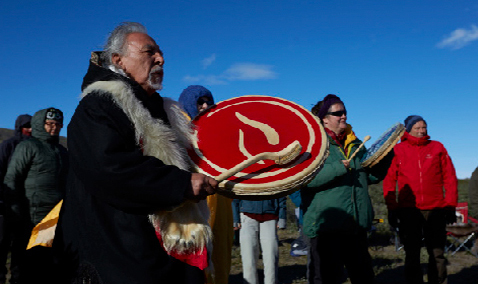 The path begins in Greenland with a visit to the Inuit spiritual leader and shaman. Through talks, ceremonies and communion with its people and nature we explore the world of his beliefs and get to know his message of unity and harmony. A search for connection with a higher level of consciousness and the ancestral through music, images and reflection. Guruji opens up the doors of his Ashram in Bangalore for us, during the Navaratri festival, where we take part in meditations, Homas and Pujas, to prepare our bodies and souls before meeting the Master: a deep conversation to listen to his humanitarian message of peace and to know his the vision of life, faith and connection with the higher plane. 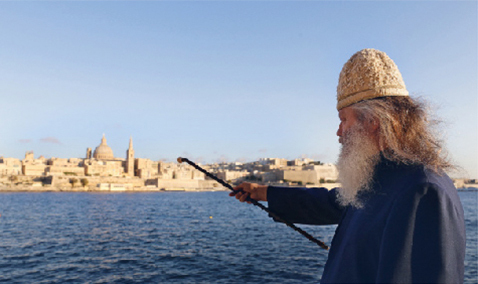 We visit the home of the Admor of Malta to hear his visions of the universe, Faith and the universal laws. The great Master Rabbi of the Kabbalah shares his wisdom and reveals the keys to understanding the universal truths, the concept of evolution and how we can elevate our soul through spirituality. 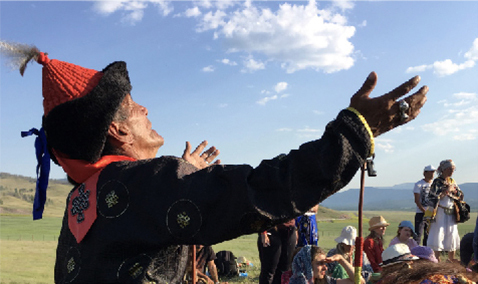 Descendant of a family of shamans, the Tuvan spiritual leader, healer and Master in Khoomeni (throat singing) shares his wisdom and his vision abount the human being in a warm meeting, accompanied by collective meditation ceremonies where sound transforms into energy to expand consciousness and connect us on a spiritual level. The shaman born in Korea guides us throught dance along a spiritual path of connection with the high. Her home in Vienna is the setting to learn about her healing tools and listen to her experience as a court dancer in Seoul. Two generations of women share their message of unity and love for Mother Earth and its elements.Abuela Margarita, 84-year-old Maya shaman, and Abuela niña, 13-year-old Nahuatl shaman, help us remember our origins as spiritual beings, share their mission to awaken sleeping consciences of humanity and give us their vision about how to receive the energy of nature and connect with it. The doctor, Jungian psychiatrist and writer invites us her spaces of meditation and connection in the midst of nature and tells us about the female and male archetypes, her experience with the Circles of Women and her work as an activist for womens rights. We traveled to San Antonio de Areco to talk with the Benedictine monk born in Austria, pioneer of the dialogue between the spiritual traditions of East and West, and listen to his message of gratitude as a way to celebrate life. A meeting to appreciate his vision of Faith and the relationship between spirituality and science. Faith for Rights, an initiative by the United Nations Human Rights Office, supports Believe to See in spreading the messages of unity in diversity. Upholding the dignity and equal rights of all human beings is our common goal. Faith For Rights is an initiative of the United Nations High Commissioner for Human Rights that promotes a space for a cross-disciplinary reflection on the connection between religions and human rights to foster the development of peaceful, tolerant and respectful societies. Faith for Rights promoted the Beirut Declaration in March 2017, which lists 18 commitments that identify the common ground among all religions and beliefs to uphold the dignity and equal worth of all human beings. Faith For Rights does not identify with any particular religion and seeks to benefit the respect for human rights and human dignity around the world. WISE supports Believe To See. Union between Science and Spirituality. WISE is a scientific and academic non-profit organization dedicated to the service of humanity through scientific research. Among their areas there's an applied consciousness department that studies spirituality phenomena through the neurosciences. The Institute is formed by scientists of the most prestigious universities such as Harvard University, University of Toronto, John Hopkins University, Hong Kong University, University of Colorado Boulder, Japan Advanced Institute of Science and Technology and Georgetown University among others. Gaby Herbstein is a photographer and visual artist born in Buenos Aires, Argentina. She uses photography as an awareness-raising tool, launching different projects that reflect her concern for the planet and mankind. Throughout her long artistic career of twenty five years, she had participated in different solo and collective exhibitions in countries around the world, including Argentina, Mexico, Brazil, Chile, Peru, the US, Russia, China and Japan. If we believe in the Light within us, we will see, we will do, and we will achieve! Angaangaq was born in Kalaallit Nunaat (“Greenland” in kalaallisut the Greenlandic language) on November 2, 1947. He is an Eskimo descendant of a family of traditional healers and shamans. He was elevated to the rank of "Angakkoq” (“Shaman" in Greenlandic) by his people, and is the spiritual chief of the Kalaallit tribes and representative of the Elders of the indigenous at the United Nations. 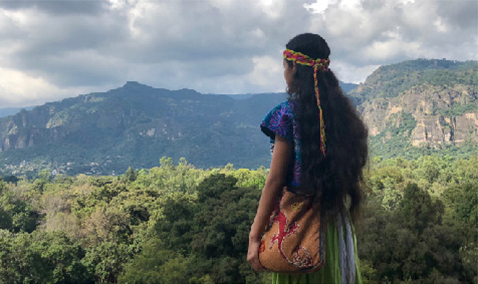 When the ecological crisis and climatic changes took place in his homeland, he received a mission of the Elders: to be their runner, the link between them and the world – both ways. This duty was given to him June 1975. Since then, he has been traveling the world, spreading his message. What is illness, what is the origin? THE ORIGIN OF ILLNESS IS OUR MIND. “They probably have seen things, they shouldn't have seen. They probably have heard things, they shouldn't have heard. They probably have smell things, they shouldn't smell. They probably have said thing, they shouldn't said. They probably have felt thing, they shouldn't feel. They probably have been thinking thoughts, they shouldn't have think. ... And they probably felt things in their heart, they shouldn't feel". The biggest island of the world, Greenland is located at “the top of the world”, in the northeastern region of North America. 85% of its surface is covered by the Sermersuaqa, or Greenland Ice Sheet, a 3-km-thick layer of ice, that extends for 2,000 kilometers from north to south. Greenland has 56.000 inhabitants, 90% of them are Kalaallit, the native people of the island. They are generally known as Eskimos, a word that some consider a pejorative term, although Angaangaq uses the word Eskimo himself often and does not see it as a negative term. Eskimo means: "Raw meat eater". The indigenous turn to the Shaman as a mediator and spiritual guide between the earthly and the supernatural world for matters such as illness, death and the ceremonies of reincarnation of the soul. 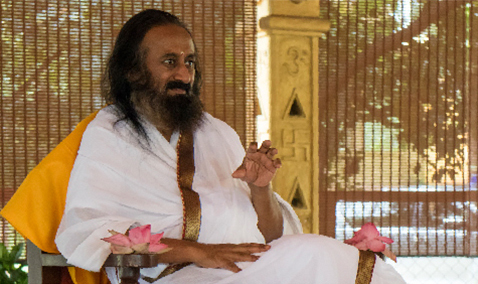 Sri Sri Ravi Shankar was born in Thanjavur, India, on May 13, 1956. At the age of four, he was able recite some verses of the Bhagavad-gītā, the Hindu Holy Book. His first teacher was Sudhakar Chaturvedi, who also collaborated with Mahatma Gandhi. 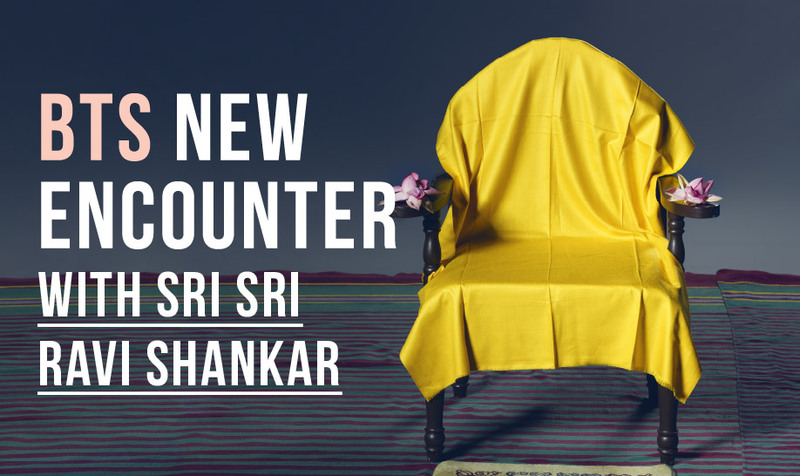 In 1981, after a period of ten days of silence on the banks of the Bhadra River, Ravi conceived the Sudarshan Kriya, a breathing technique that is the cornerstone of the Art of Living courses, the humanitarian organization he created later the same year. The Art of Living carries out activities related to health, education and disaster relief. Currently, the Foundation is located in 155 countries, is as a United Nations non-governmental organization and its volunteer work is one of the largest in the world. In 1997, he co-founded the International Association for Human Values (IAHV), implementing sustainable development projects for the promotion of human values and the coordination of initiatives to resolve military conflicts. "My mission is to see the world as an United Family, a happy family. I want to see waves of happiness generated in every village, in every city, in every home." How would you define death? Well if you really analyze, in your body every moment, every day, some cells are dying and new cells are being born. So life and death is a continuous process in your body that is happening. Every day new cells are being born, old cells are dying. In one year all the cells in our body have undergone changes. The cells you have in your body today, one year later, they're all dead and gone. SO DEATH IS PART OF CREATION. I would say transformation exists because there is death and we need to die in every moment from the past, it’s similar in the mind also. So many events are happening in life and we are dying for older past events and then born from new events for the future. It is the second most populated country of the world, with 1,331,793,000 inhabitants, and it is characterized by a diversity of religions. The main religions are: Hinduism 80%, Islam 14%, Christianity 2.4%, Sikhism 2%, Budism 0.7%, Jainism 0.5%, others 0.4%. Hinduism conceives a three-form divinity (Trimurti): Brahma the creator, Shiva the destroyer and Vishnu the preserver. The Ganges flows through a big part of India. In Hinduism, the river is considered sacred since it represents Ganga, the goddess of purification. Every spring, over 100,000 Hindus celebrate the birth of Mother Ganges. Small leaf-trays filled with marigold petals soaked in ghee are lit and thrown into the river.